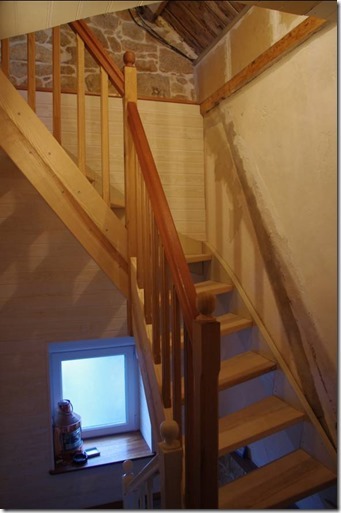 I have a very old house in Brittany with an attic that we could only get to with a very steep ladder! 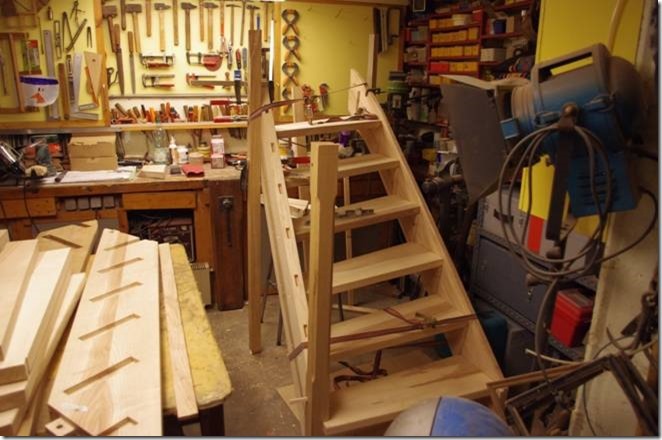 For a long time I’ve been thinking of building a stair to replace the ladder. 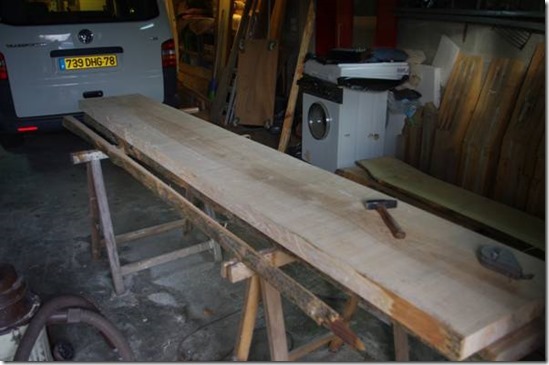 I love wood working and although no expert in carpentry I was very tempted to try and build it myself. The stair would have to be a quart turn, without riser and it had to continue the existing stair that comes up from the first floor and be in the same style. 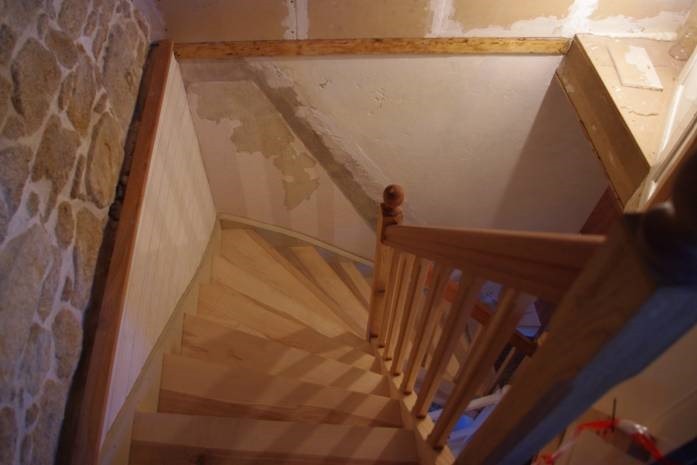 I also had to adjust the stairwell, take the final sizes and design all the details of the stair. As I didn’t know much about stair building, I searched the internet and found this website. With all the information on this website I finally took the decision to get going and build my stair myself. 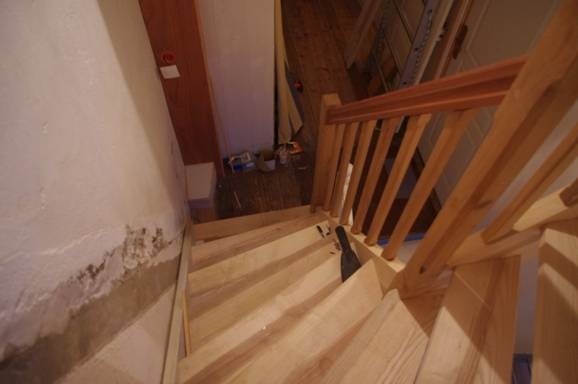 What really impressed me was that Ness not only offers software and services to help build stairs, but he’s also an amazing resource for advice and support, sharing the secrets of the trade that I couldn’t find anywhere else. Without Ness’s help I would certainly not have tried to build a stair. So this is how I went about my project. I downloaded StairDesigner (free demo version) and the models, and adjusted the model to suite my stairwell, that was easy, especially with Ness’s help and assistance. With that done I had a very neat 3D model just as I wanted it. If you know what your doing (and I didn’t have a clue) you just have to adjust the details and print the plans. As the free version doesn’t let you print, I bought Ness’s StairFile service and he sent me the manufacturing files in PDF and DXF. I then had the choice of either printing full size templates or marking up the parts from dimensioned drawings. As I didn’t have large printer, I decided to use draw up full sized templates from dimensioned scaled plans . I downloaded Draftsight, Ness’s free CAD program to edit and add the dimensions to StairDesigner’s DXF drawings. 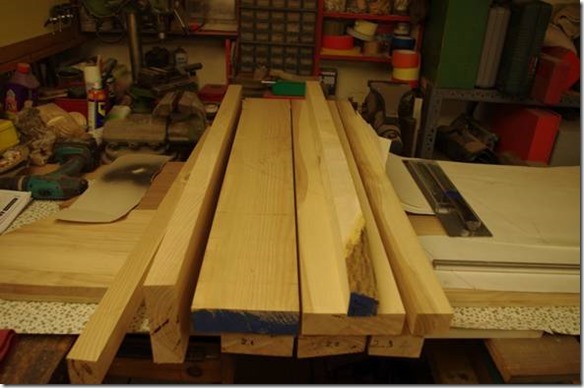 I then had to choose the wood and Ness’s advice was invaluable as he told me all the options I had so that I could make the right choice. 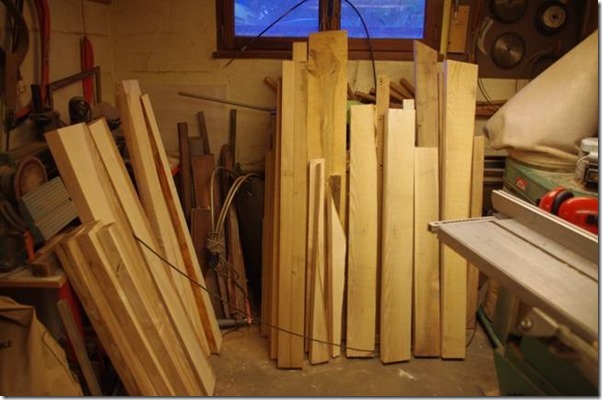 As my stair was going to be painted I opted for using some oak boards that I had in stock and to buy some ash. The ash from a local wood yard wasn’t really dry so I stocked it up under cover to finish drying. While waiting I sat down to learning DraftSight and drawing up my final dimensioned plans and templates. For the joints I wanted to use traditional joints, tenons, mortises, and dowels. 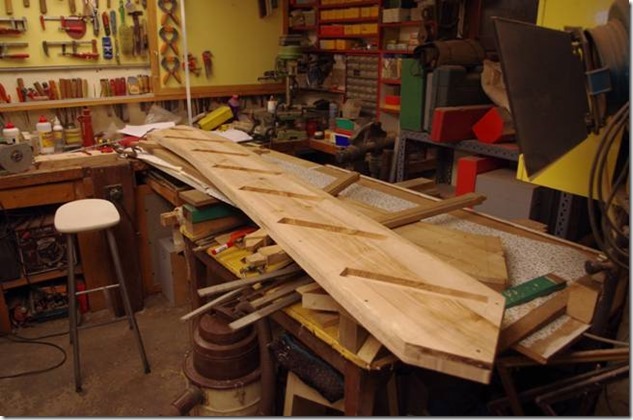 Ness showed me a more modern, easier and stronger way to assemble the strings and handrails using lag screws and dominos. Portable Circular Saw for cutting rough boards. As I had to machine up rough boards, I also had a small l jointer, thickness planer and spindle moulder (old amateur Kitty machine) . 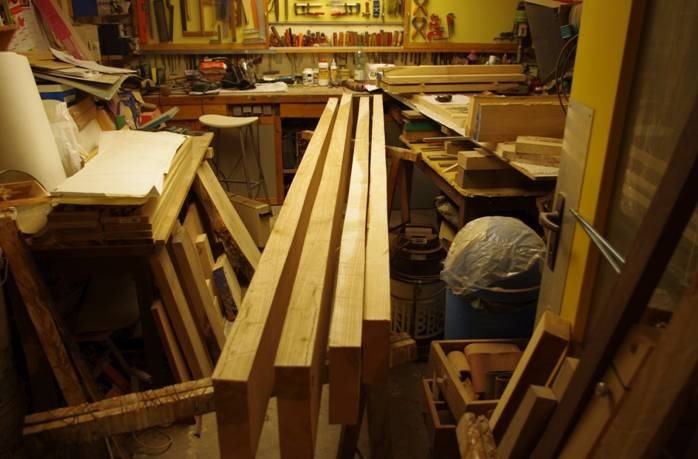 If I had bought planed boards I could have built my stairs using only hand tools. With the plans and templates the real work could begin! 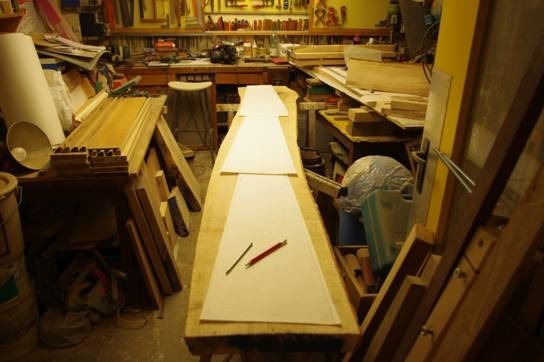 Cutting up the rough boards. I cut up the ah boards with a portable circular saw . The sap wood had to be cut off and the edges cut straight. Using full the size templates to mark up the steps on the rough boarding. The board are 50mm ash for the the stingers, 40mm for the steps. For templates I used wall paper meant for renovation work on old walls. I found it cheap and dimensionnally very stable. 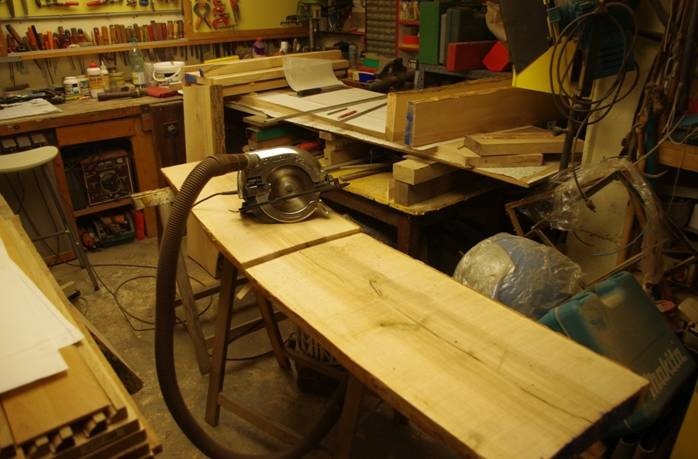 To make the steps each rough board is cut straight and planed up ready for jointing. Here are the strings being prepared for assembly. 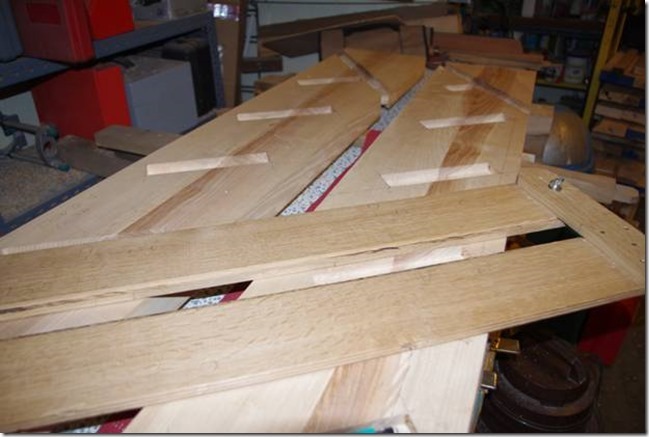 The separte boards that make up the stringer are jointed with a groove and loose tounge. I alternated the heart wood to avoid warping. 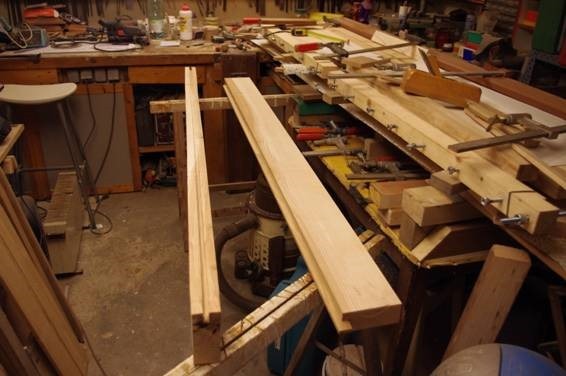 I used home made clamps to assemble the boards . 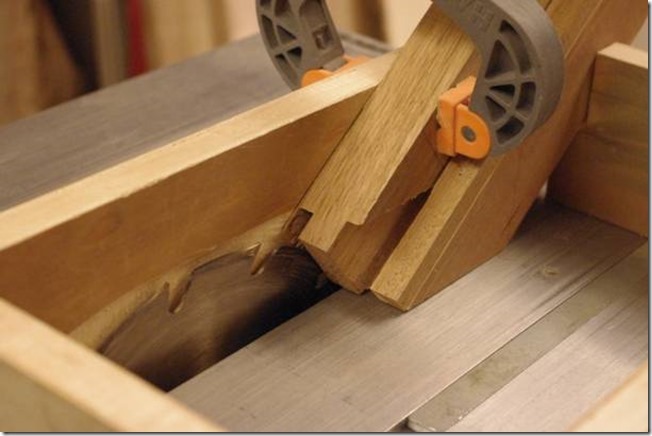 These clamps are made according to Ness’s clamps he uses for veneering laminated stringers. Here are the strings on the wall side. These strings are made of 2 layers that are glued up on site. A 20mm support layer and a cut layer of 15mm. This gives a total thickness of 40mm . I routed out the step housing through the 15mm layer and cut it into 2. the lower part the step supports was glued and screwed onto the support layer. The upper section was glued after the step were installed . This made installation very easy. Assembly of the strings and hand rails, a very satisfying moment ! The most difficult moment ! 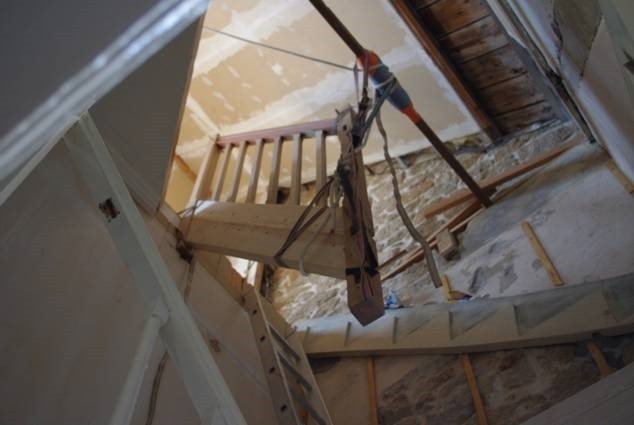 I assembled the different parts in the attic and and lowered them into place. Here you can see the wall stringers with the cut step supports ready to receive the steps. 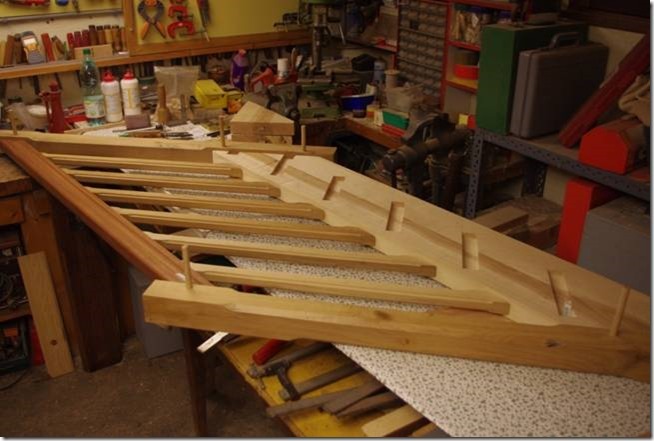 Once the steps are ajusted the second upper half of the stringer is glued and nailed onto the support string. The steps are slotted into the outer string 15mm housings 15mm and screwed onto the step supports on the wall string. Once the upper section of the wall string installed to keep in style with the first floor stair , I still have to turn the balls that will be added to the post . Nearly finished , have to keep going ! Et voilà ! Just need to paint the wall where the old ladder went up. Looking down looks good too! 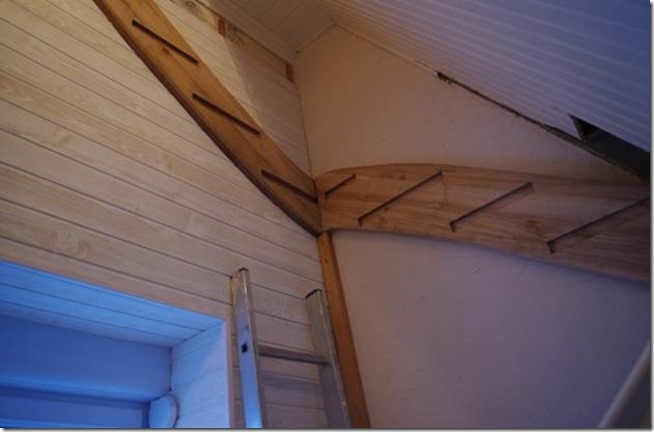 I now have to put cuboards and fittings into the attic, maybe have a look at the Polyboard cabinet software for this. If you are thinking of building your own stair, I hope that this has been helpful. I can only wish you all the best, it’s a great adventure and very satisfying. 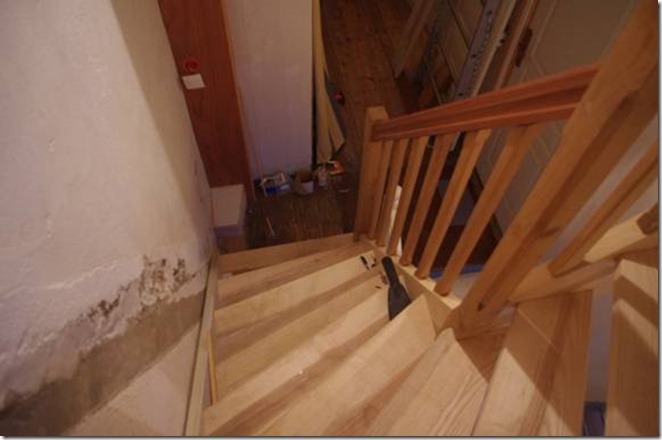 For a complete pathway covering how to build your own stairs, from design to install, register for Premium Support to access professional advice and resources. You can also download StairDesigner here and get started with your own project.